educational programs. Select an offer below to learn more. If your school participates in the National School Lunch Program, we’ll send you a set of 25 books: the first 15 books in The Bluford Series plus 10 other paperbacks: Second Wind, Animal Rescue, Narrative of the Life of Frederick Douglass, Abraham Lincoln, Great Stories of Suspense and Adventure, Unexpected Blessings, La Vida Real, Guadalupe Quintanilla: My Story, Great Moments in Sports, and Making the Most of Your Life. Your letter should indicate just how you will use the books at your school, and the letter must be signed by the media specialist (or the literacy coach) and the principal. There is a limit of one order per school. Upon request, we’ll send you 10 copies of one of our adult mentor books (you specify which title you want): Brother to Brother: Black Men Speak to Young Black Men; Sister to Sister: Black Women Speak to Young Black Women; or Voces Latinas: Hispanic Adults Speak to Hispanic Young People. Your letter of request should indicate which of the three books you want and how you will use the books. The letter must be signed by you and your principal or department chair. Note: Free PDFs of all three of our mentor books are available now. 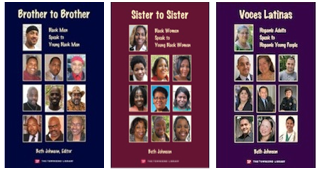 Click each title to download a copy of Brother to Brother, Sister to Sister, or Voces Latinas. 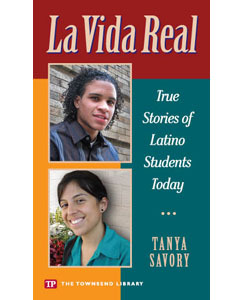 Upon request, we’ll send you up to 500 copies of our book, La Vida Real: True Stories of Latino Students Today. Estimates are that more 45 million Latino people now live in the U.S.—and that population is eager for stories about Latino students. We’ll initially send you ten copies of the book to review with your colleagues. If you decide to adopt the text for your students, you can e-mail us indicating the quantity desired and your distribution plan. We’ll then send the books at no charge. Two free ebooks! Three Keys to Doing Well in School is a concise and practical guide to student success. Reading Changed My Life! 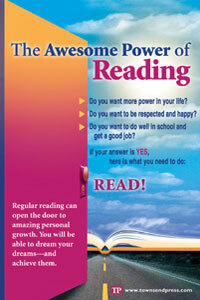 is a collection of true stories about the transformative power of reading. Click each title to download your copy. If you are a teacher (from middle school through college) who wants a set of reading motivation posters, e-mail your request to posters@townsendpress.com. Tell us how and where you intend to use the posters, and we’ll send you a set of eight, along with our new paperback catalog, at no charge. If you are college reading teacher who uses any of our Ten Steps, Groundwork, or Reading-Writing Connection texts, you can receive at no charge one book from the Townsend Library and Bluford Books for every textbook purchase from us. E-mail your request to Customer Service at cs@townsendpress.com. 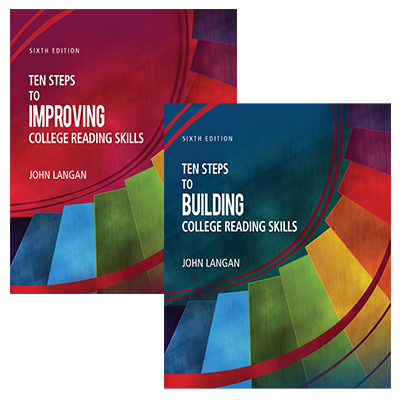 If you are a reading instructor in a U.S. college and have never used a Townsend Press reading book in one of your courses, we’ll send you, at no charge, up to 20 copies of either a Ten Steps reading book or Groundwork for College Reading for you to use with your students in one class. 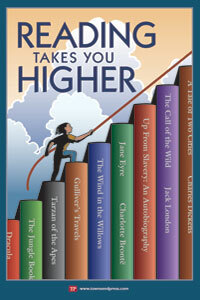 E-mail your request to janet.goldstein@townsendpress.com. See a partial list of organizations that have received free books from Townsend Press. 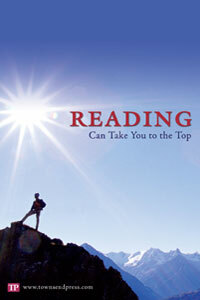 Townsend Press offers free presentations of its powerful vocabulary and reading materials, both electronic and in print. Call us toll-free at (888) 752-6410, or e-mail us at cs@townsendpress.com for more information.